The first car and house bought by Beatles legend John Lennon are up for sale for a combined price of 14 million pounds. 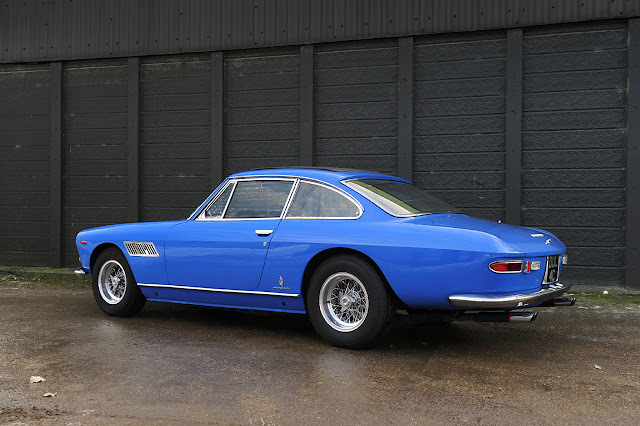 The blue Ferrari 330GT has not been driven in a long time, while, the Tudor mansion in Weybridge, Surrey, was home to Lennon and his first wife Cynthia between 1964 and 1968. Less than a year after buying his house, Lennon passed his driving test and didn't have to go any further than his front door to pick his first car, reported Daily Express. Lennon strolled round the assortment of deluxe Aston Martins, Maseratis and Jaguars, before forking out 6,500 pounds - around 110,000 pounds today - for the Ferrari. He did 20,000 miles in the classic Italian motor before selling it three years later in 1968, the same year he moved out of the house. Experts expect the classic car, which boasts a 4-litre V12 engine and a top speed of 152mph, to go for 220,000 pounds when it goes under the hammer next month. Included in the sale is its original registration certificate, service history and correspondence with Lennon. Auctioneers selling the motor have taken it back to the mansion to take a series of photos of it there. Tim Schofield, head of Bonhams' motor car department, said, "This is a beautifully presented example of a really rather rare Ferrari 330GT. The fact that is a 2+2 model with two seats in the front and two in the back means it is effectively a Ferrari family car. "When John Lennon bought the car his first son Julian was just two years old, and with his wife Cynthia the family would have driven around in style." The car is being auctioned by Bonhams at the Goodwood Festival of Speed. Meanwhile, the 1913 mansion estate boasts six bedrooms, a swimming pool, 1.5 acres of landscaped garden and is up for sale for 13.7 million pounds with estate agents Knight Frank.